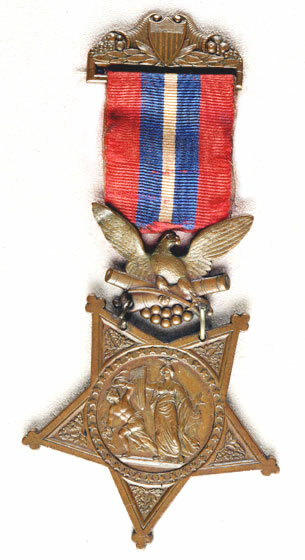 Date Medal Issued: 14 November 1890. At New Bern, N.C., brought off the wounded color sergeant and the colors under a heavy fire of the enemy. Was one of four soldiers who volunteered to determine the position of the enemy at [Fox's Gap on] South Mountain, Md. While so engaged was fired upon and his three companions killed, but he escaped and rejoined his command in safety.